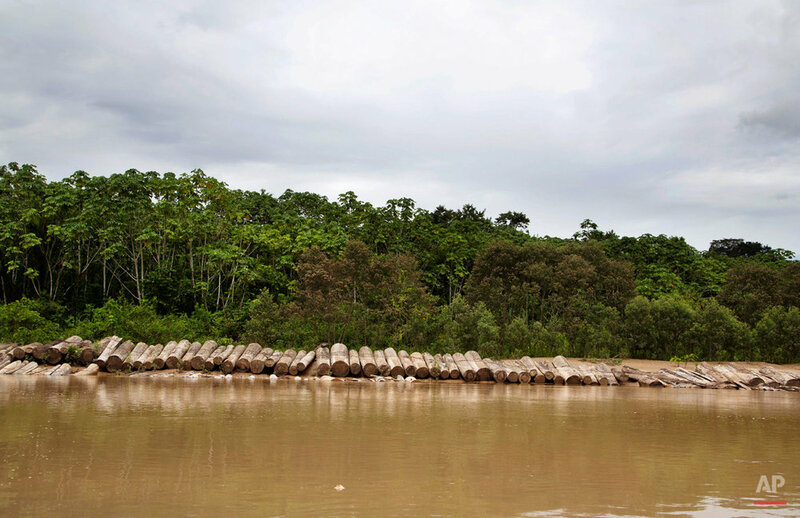 Illegal logging persists unabated in this remote Amazon community where four indigenous leaders who resisted it were slain in September, and the fear remains palpable. Even a police post the government established with 25 officers provides no comfort, villagers and environmentalists say. "It has neither the mandate nor the desire to start protecting the community," American philanthropist Alexander Soros told reporters last week after visiting Saweto by helicopter with activists from the Global Witness environmental group. 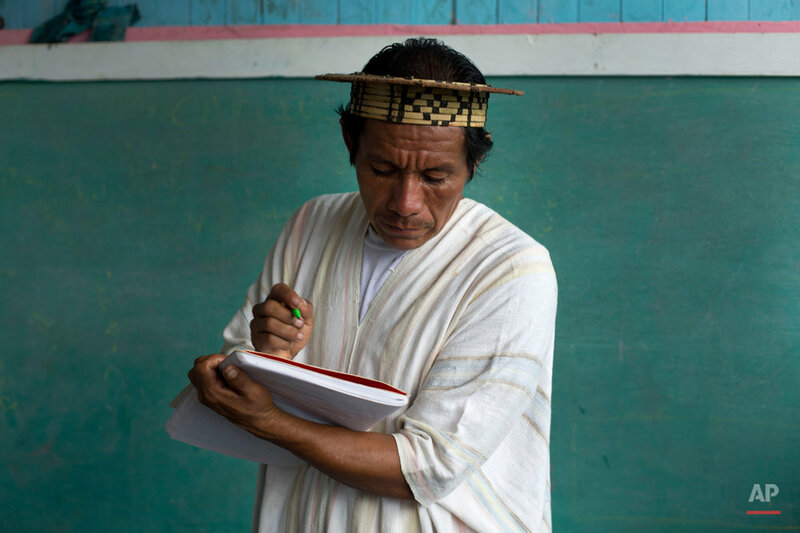 Edwin Chota and the three other slain Ashaninka leaders campaigned for more than a decade for title to the community's ancestral 300-square-mile (80,000-hectare) tract bordering Brazil. Margoth Quispe, a former regional ombudsman advising the community, said only a few bureaucratic hurdles remain to obtain the title, but it's "no guarantee against illegal logging." Trees are felled a two-hour walk from Saweto, where loggers have base camps and drag trees to the Putaya River for transport. A villager serving as a guide said the site was too dangerous to visit, but he paddled a visiting photojournalist up the Putaya, where freshly cut logs floated downriver accompanied by three men in a dugout. Diana Rios, a daughter of Chota, later identified two of those men as illegal loggers from a photograph. Rios and other villagers complained that the investigation into the killings has been slow. Two men arrested shortly after the slayings as suspects are widely believed to have acted on behalf of others. The case was reassigned to an organized crime prosecutor less than a month ago. "It's not a simple murder," the new prosecutor, Julio Cesar Reategui, told The Associated Press from Pucallpa, the regional capital. "Investigating a criminal organization, if it exists, can't be done in a short time," he said, asking for patience. "The economic power of these (illegal) loggers is enormous and corruption abounds." 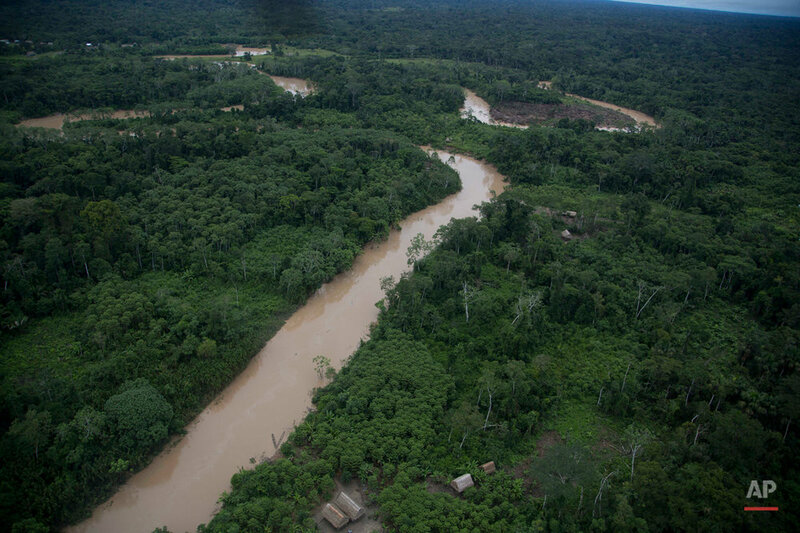 Violence springing from such corruption has made Peru, by Global Witness' count, the world's fourth most dangerous country for environmental activists, after Brazil, Honduras and the Philippines. It certainly casts a shadow on Saweto, where the fear compounds the complications of rudimentary living conditions. The community lacks running water and electricity. All its children attend school in the same one-room hut, taught in Ashaninka by a single teacher. The nearest store selling soap and cooking oil is a 30-minute boat ride. Saweto's population officially stood at 106 before Chota and the others were slain, Quispe said. Since then, several dozen people have moved away out of fear, some to Pucallpa, others to a sister Ashaninka village across the border in Brazil. Less than 70 remain. Text from the AP news story, AP PHOTOS: Illegal logging, fear haunt remote Peru village, by Martin Mejia.